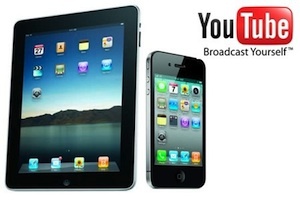 Download and Convert YouTube to iPhone, iPad on Mac. With high-resolution display and light weight, Apple iPhone and iPad seem to be the ideal tools to watch movies, TV shows no matter where we are. So YouTube fans may wonder how to download and watch YouTube video files on your iPhone and iPad. Fortunately here we are introducing two simple ways for you to download YouTube video to your iPhone, iPad and other mobile devices. The program called Zamzar which involves online file converting service, will help you download YouTube video files and convert the video to a format supported by your iPhone, iPad or other mobile phones and tablets. The steps to download and convert YouTube video files are simple: Type video URL>choose the format to convert to>enter your email address>start conversion by clicking “Convert” button. You will then receive an email with the link to download the converted video. Simply send the video to your mobile phone. That’s all. Another way to download and convert YouTube videos is to use some desktop software, like Tune4mac Video Converter Ultimate. It is an application that was designed to help you download YouTube videos and convert them to iPhone, iPad and others on Mac platform. 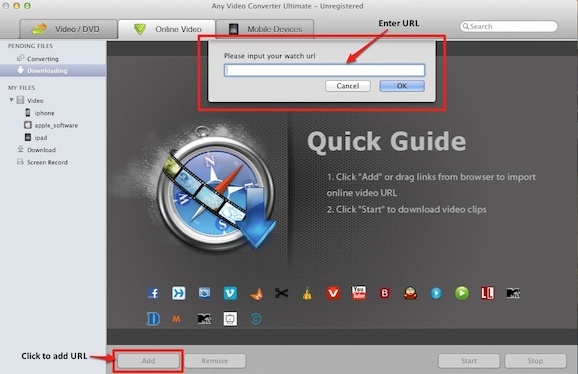 The steps of downloading and converting are also simple enough: Click “Add” to type the video URL to Tune4mac>start downloading>add the downloaded video to convert list>choose output formats>start conversion. After the conversion is completed, you are able to import the converted videos to your iPhone, iPad or other devices. Of course there are many other ways to download and convert YouTube video files to iPhone, iPad. If you like, why not share them with us?